The OWL (Overwhelmingly Large Telescope) was a gargantuan telescope proposed by the European Southern Observatory (ESO). The OWL was going to be a 100 meter monstrosity, which would dwarf anything in operation at the time. Sadly, OWL was eventually cancelled. At the time that OWL was first proposed—in the late 1990’s—scientific studies showed that huge telescopes would be necessary to advance our knowledge. OWL promised to help us unlock the mystery of dark matter, peer back in time to witness the birth of the first stars and galaxies, and to directly image the atmospheres of exoplanets. It’s easy to see why people were excited by OWL. By 2005, the OWL study was completed and reviewed by a panel of experts. At that time, the concept was validated as a cost-effective way to build an Extremely Large Telescope (ELT). However, as the wheels kept turning, and a price tag of € 1.5 billion was attached to it, the ESO backed away. OWL’s design called for a 100 meter diameter mirror, built out of 3264 segments. It would have had unequalled light-gathering capacity, and the ability to resolve details down to a milli-arc second. (A milli-arc second is approximately the size of a dime, placed on top of the Eiffel Tower, and viewed from New York City.) That’s extremely impressive to say the least. And OWL would have operated in both visible light and infrared. The problem with OWL was the cost, not the design feasibility. Engineers still think the design is feasible. In fact, the construction of the mirrors was pretty well-understood, and perhaps the most challenging part of the OWL was the adaptive optics required. It’s a fact of large telescopes that they have to be constantly adjusted to produce sharp images. This requires adaptive optics. The adaptive optics required for OWL would have pushed the state-of-the-art technology at the time. Adaptive optics is a method of overcoming the distortions that affect light as they pass through Earth’s atmosphere. For extremely sensitive telescopes like the OWL, the atmosphere of Earth is problematic. The photons coming from the distant reaches of the Universe can be garbled by the atmosphere as they approach the telescope. Telescopes are built on mountain-tops to reduce how much atmosphere photons have to travel through, but that’s not enough. This video explains how adaptive optics work, and how they helped the Keck telescope make new discoveries. OWL’s mirror segments would have to be aligned to within a fraction of the wavelength (0.0005 mm for visible light) in order for the telescope to deliver good images. OWL’s adaptive optics would have achieved this by adjusting each of OWL’s 3264 segments rapidly, sometimes several times per second. OWL’s design called for modularity, or “serial, industrialized fabrication of identical building blocks” to reduce costs. The manufacture of extremely large telescopes is expensive, but so are the transportation costs. All of the components have to be built in engineering and manufacturing centres, then shipped to, and assembled on, fairly remote mountain tops. OWL’s components were designed to be shipped in standard shipping containers, which simplified that aspect of its construction. In the end, OWL’s cost became too great, and the project was cancelled. The ESO moved on to the 39.3 meter European Extremely Large Telescope. But all of the work done on the design of OWL was not lost. Everything that we learn about telescope design trickles down to our next-generation of telescopes. That’s true whether designs like OWL get built or not. We’ll just keep building on our success, and keep building larger and more powerful telescopes. The adaptive optics that OWL required were a challenge. But huge advances have been made on that front. And in the way of things, the manufacturing costs have likely come down as well. OWL itself may never be built, but other ‘scopes are on the way. Telescopes like the James Webb Space Telescope, the Giant Magellan Telescope, and the European Extremely Large Telescope hold the same promise that OWL did. And in the end, the contributions of those and other ‘scopes might surpass those promised by OWL. The Giant Magellan Telescope (GMT) is being built in Chile, at the Las Campanas Observatory, home of the GMT’s predecessors the Magellan Telescopes. The Atacama region of Chile is an excellent location for telescopes because of its superb seeing conditions. It’s a high-altitude desert, so it’s extremely dry and cool there, with little light pollution. The GMT is being built by the USA, Australia, South Korea, and Brazil. It started facility construction in 2015, and first light should be in the early 2020’s. Segmented mirrors are the peak of technology when it comes to super telescopes, and the GMT is built around this technology. The GMT’s primary mirror consists of 7 separate mirrors: one central mirror surrounded by 6 other mirrors. Together they form an optical surface that is 24.5 meters (80 ft.) in diameter. That means the GMT will have a total light collecting area of 368 square meters, or almost 4,000 square feet. The GMT will outperform the Hubble Space Telescope by having a resolving power 10 times greater. There’s a limit to the size of single mirrors that can be built, and the 8.4 meter mirrors in the GMT are at the limits of construction methods. That’s why segmented systems are in use in the GMT, and in other super telescopes being designed and built around the world. These mirrors are modern feats of engineering. Each one is made of 20 tons of glass, and takes years to build. The first mirror was cast in 2005, and was still being polished 6 years later. In fact, the mirrors are so massive, that they need 6 months to cool when they come out of casting. They aren’t just flat, simple mirrors. They’re described as potato chips, rather than being flat. They’re aspheric, meaning the mirrors’ faces have steeply curved surfaces. The mirror’s have to have exactly the same curvature in order to perform together, which requires leading-edge manufacturing. The mirrors’ paraboloidal shape has to be polished to an accuracy greater than 25 nanometers. That’s about 1/25th the wavelength of light itself! In fact, if you took one of the GMT’s mirrors and spread it out from the east coast to the west coast of the USA, the height of the tallest mountain on the mirror would be only 1/2 of one inch. The plan is for the Giant Magellan Telescope to begin operation with only four of its mirrors. The GMT will also have an extra mirror built, just for contingencies. The construction of the GMT’s mirrors required entirely new testing methods and equipment to achieve these demanding accuracies. The entire task fell on the University of Arizona’s Richard F. Caris Mirror Lab. But GMT is more than just its primary mirror. It also has a secondary mirror, which is also segmented. Each one of the secondary mirror’s segments must work in concert with its matching segment on the primary mirror, and the distance from secondary mirror to primary mirror has to be measured within one part in 500 million. That requires exacting engineering for the steel structure of the body of the telescope. The engineering behind the GMT is extremely demanding, but once it’s in operation, what will it help us learn about the Universe? The GMT will help us tackle multiple mysteries in the Universe, as Dr. Robert Kirshner, of the Harvard-Smithsonian Center for Astrophysics, explains in this video. The GMT will collect more light than any other telescope we have, which is why its development is so keenly followed. It will be the first ‘scope to directly image extrasolar planets, which will be enormously exciting. With the GMT, we may be able to see the color of planets, and maybe even weather systems. We’re accustomed to seeing images of Jupiter’s storm bands, and weather phenomena on other planets in our Solar System, but to be able to see something like that on extra-solar planets will be astounding. That’s something that even the casual space-interested person will immediately be fascinated by. It’s like science fiction come to life. Of course, we’re still a ways away from any of that happening. With first light not anticipated until the early 2020’s, we’ll have to be very patient. Ever since astronomers first began using telescopes to get a better look at the heavens, they have struggled with a basic conundrum. In addition to magnification, telescopes also need to be able to resolve the small details of an object in order to help us get a better understanding of them. Doing this requires building larger and larger light-collecting mirrors, which requires instruments of greater size, cost and complexity. However, scientists working at NASA Goddard’s Space Flight Center are working on an inexpensive alternative. Instead of relying on big and impractical large-aperture telescopes, they have proposed a device that could resolve tiny details while being a fraction of the size. It’s known as the photon sieve, and it is being specifically developed to study the Sun’s corona in the ultraviolet. Basically, the photon sieve is a variation on the Fresnel zone plate, a form of optics that consist of tightly spaced sets of rings that alternate between the transparent and the opaque. Unlike telescopes which focus light through refraction or reflection, these plates cause light to diffract through transparent openings. On the other side, the light overlaps and is then focused onto a specific point – creating an image that can be recorded. The photon sieve operates on the same basic principles, but with a slightly more sophisticated twist. Instead of thin openings (i.e. Fresnel zones), the sieve consists of a circular silicon lens that is dotted with millions of tiny holes. Although such a device would be potentially useful at all wavelengths, the Goddard team is specifically developing the photon sieve to answer a 50-year-old question about the Sun. Essentially, they hope to study the Sun’s corona to see what mechanism is heating it. For some time, scientists have known that the corona and other layers of the Sun’s atmosphere (the chromosphere, the transition region, and the heliosphere) are significantly hotter than its surface. Why this is has remained a mystery. But perhaps, not for much longer. With support from Goddard’s Research and Development program, the team has already fabricated three sieves, all of which measure 7.62 cm (3 inches) in diameter. Each device contains a silicon wafer with 16 million holes, the sizes and locations of which were determined using a fabrication technique called photolithography – where light is used to transfer a geometric pattern from a photomask to a surface. However, in the long-run, they hope to create a sieve that will measure 1 meter (3 feet) in diameter. With an instrument of this size, they believe they will be able to achieve up to 100 times better angular resolution in the ultraviolet than NASA’s high-resolution space telescope – the Solar Dynamics Observatory. This would be just enough to start getting some answers from the Sun’s corona. In the meantime, the team plans to begin testing to see if the sieve can operate in space, a process which should take less than a year. This will include whether or not it can survive the intense g-forces of a space launch, as well as the extreme environment of space. Other plans include marrying the technology to a series of CubeSats so a two-spacecraft formation-flying mission could be mounted to study the Sun’s corona. In addition to shedding light on the mysteries of the Sun, a successful photon sieve could revolution optics as we know it. Rather than being forced to send massive and expensive apparatus’ into space (like the Hubble Space Telescope or the James Webb Telescope), astronomers could get all the high-resolution images they need from devices small enough to stick aboard a satellite measuring no more than a few square meters. This would open up new venues for space research, allowing private companies and research institutions the ability to take detailed photos of distant stars, planets, and other celestial objects. It would also constitute another crucial step towards making space exploration affordable and accessible. 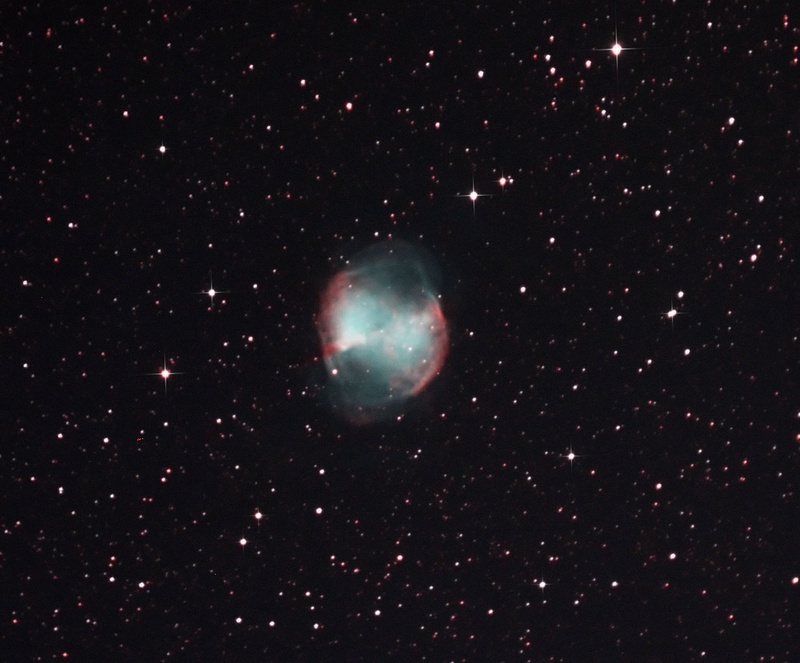 One more thing amateur astronomers might need to worry about besides clouds, bugs, and trying to fix equipment malfunctions in the dark – and this one’s a little more serious. Earlier this week, two students at North Dakota State University (NDSU) in Fargo, North Dakota were settting up a telescope and camera system to take pictures of the Moon when armed police approached them. The police officers had mistaken the telescope for a rifle. Students Levi Joraanstad and Colin Waldera told WDAY TV in Fargo that they were were setting up their telescope behind their apartment’s garage when they were blinded by a bright light and told to stop moving. Initially, they thought it was a joke, that fellow students were pulling a prank, and because police were shining a bright light at them, the two students were blinded. Police said that an officer patrolling the area had seen what he thought was suspicious activity behind the garage, thinking that one of the students’ dark sweater with white lettering on the back looked like a tactical vest, and that the telescope might be a rifle. Police added that their response was a “better safe than sorry” approach, and they said the two students were never in any danger of being shot. However, Joraanstad and Waldera said since they thought it was a joke, they initially ignored the order to stop moving and kept digging in their bags for equipment. If the police had acted more aggressively, the outcome could have been tragic. Joraanstad said the officers were very apologetic when they realized their mistake, and they explained what had happened. So, watch where and how you point your telescope. This is a rare occurrence, of course, and is nothing like risks amateur astronomers in Afghanistan regularly take to look through a telescope and share their views with local people. We wrote an article — which you can read here — about how they have to deal with more serious complications, such as making sure the area is clear of land mines, not arousing the suspicions the Taliban or the local police, and watching out for potential bombing raids by the US/UK/Afghan military alliance. Remember the wonderful Galileoscopes that were developed in 2009 for the International Year of Astronomy? This high-quality, low-cost telescope kit is back for the 2015 International Year of Light (IYL), and new inventory is now available for delivery worldwide. Plus, thanks to generous donations to support science education, thousands of K-12 teachers and students in the United States could receive free telescope kits. When the Galileoscope first came out in 2009, there was a waiting list to get one. But now, newly arrived IYL 2015 inventory is readily available and ready to be shipped. “The new inventory takes us over the top of 250,000 Galileoscopes manufactured since the program began in 2009,” said Rick Fienberg, from the American Astronomical Society, and one of the people who leads the volunteer effort to make these telescope kits available. Galileoscope kits have been distributed in more than 100 countries for use in science teaching and public outreach. They are suitable for both optics education and celestial observation. They are available for purchase and for donation through the Telescopes4Teachers program. You can buy a single Galileoscope for yourself through distributors like Amazon for about $50, or get a wholesale price when buying in bulk and get 6 for $150. A look at the components in the Galileoscope kit. Credit: Galileoscope. From personal experience, I know the Galileoscope is perfect for beginners – as well as seasoned astronomers! It gives you an observational experience like Galileo had — except for having much, much better optics! You can get great, sharp views of things like lunar craters abd mountains, Jupiter’s moons, Saturn’s rings, the phases of Venus, and other bright celestial objects. The Galileoscope is a 50-mm (2-inch) diameter, 25- to 50-power achromatic refractor. It attaches to any photo tripod. The Galileoscope comes unassembled so that students can explore fundamental optical concepts such as how lenses form images. IYL 2015 is a global initiative adopted by the United Nations that promotes public understanding of the central role of light in the modern world, and to raise awareness of how optical technologies promote sustainable development and provide solutions to worldwide challenges in energy, education, agriculture, communications and health. Find out more at the Galileoscope website, and at the IYL website. As we’ve said before, all telescopes really want to be in space. In part 3 of our series on amateur telescope making, we bring you up to speed on the final frontier: amateurs building space telescopes. The hardware and software is available off the shelf, and launches have never been more affordable. The era of amateur space telescopes has arrived.